There are a lot of hidden gems along Minnesota’s most scenic drive, the famed Highway 61 from Duluth to Grand Portage. 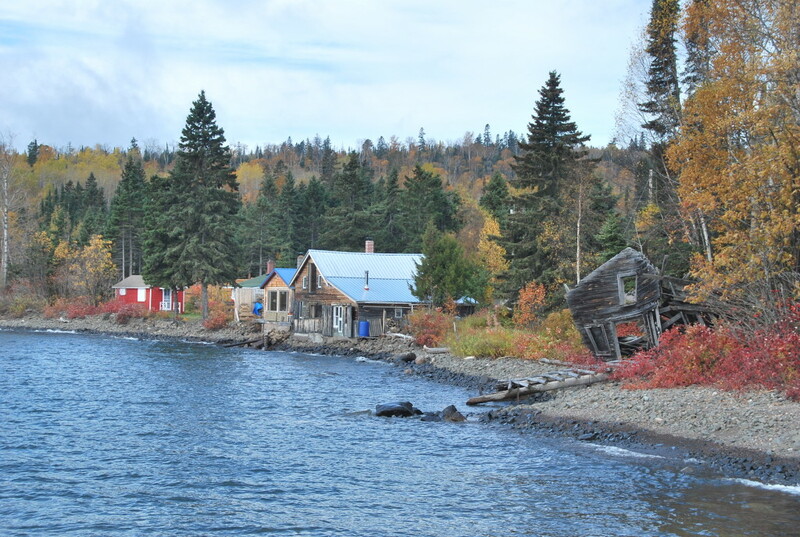 This is the North Shore of Lake Superior, and it’s filled with many extremes: Beautiful scenery and lavish resorts to ghost towns and countless abandoned places. The only real industries left are tourism and taconite/iron mining, plenty of which is still going on. 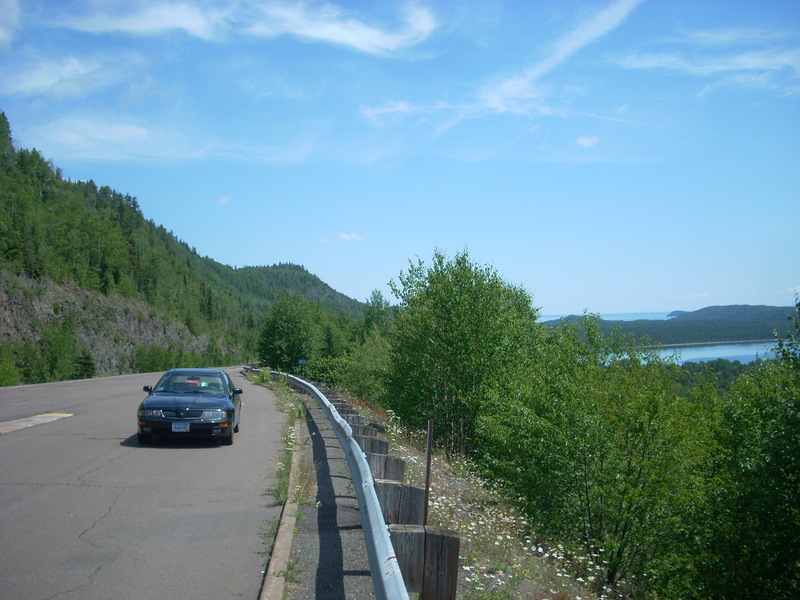 But as you reach the last stretch of highway into the Grand Portage area, cell phone service is long gone, the traffic dies off, and many signs of abandonment are found. 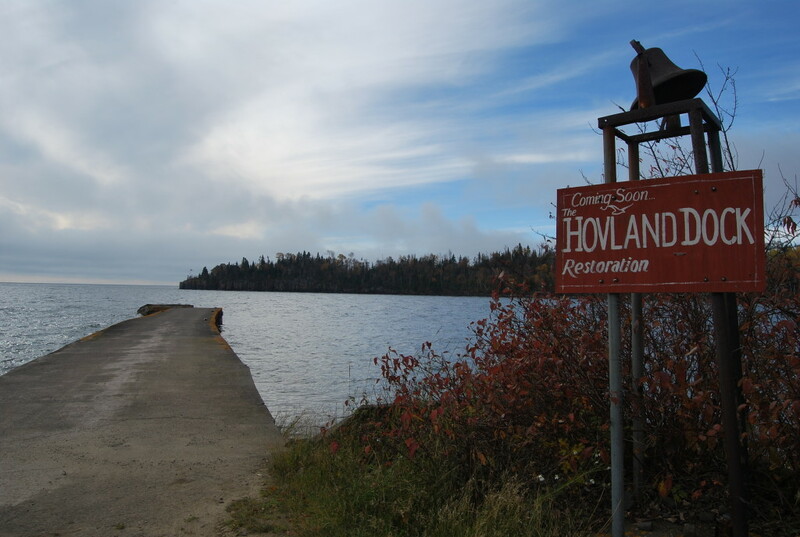 The Hovland Dock is a notable site. It is located on Chicago Bay by the near-ghost-town of Hovland, MN. 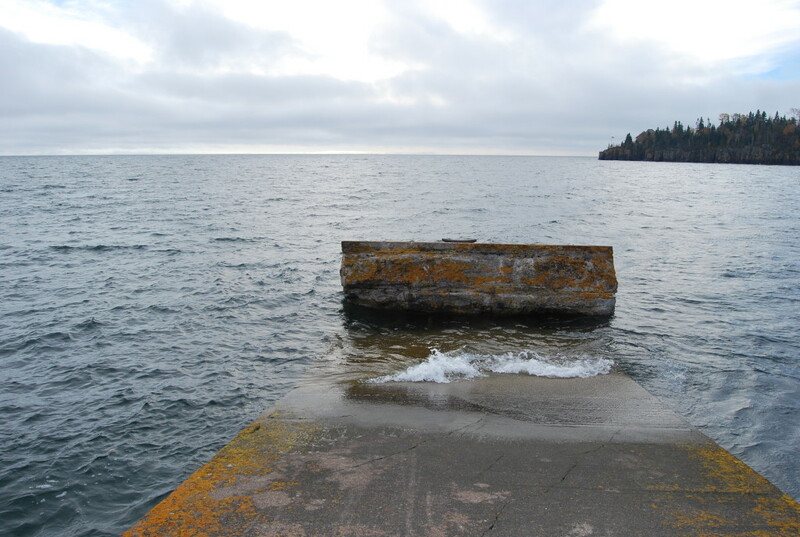 The massive concrete dock dates back to 1905 when Hovland was a thriving economic hub and the dock served as a loading/unloading site for passenger and cargo ships that traveled between Duluth and Canada, and all the way out to the ocean. It juts out about a hundred feet into the lake into deep water, and several large sections at the end have broken off and fallen into the water. There is a small parking area at the pull-off and you are free to walk out onto the dock at your own risk. There is a plaque at the dock site that tells of the “Old Dog Trail,” which was the route used by the early pioneers to travel through the area in winter via dogsled. Over the years, Highway 1 (later Highway 61) was built, making travel by water obsolete. 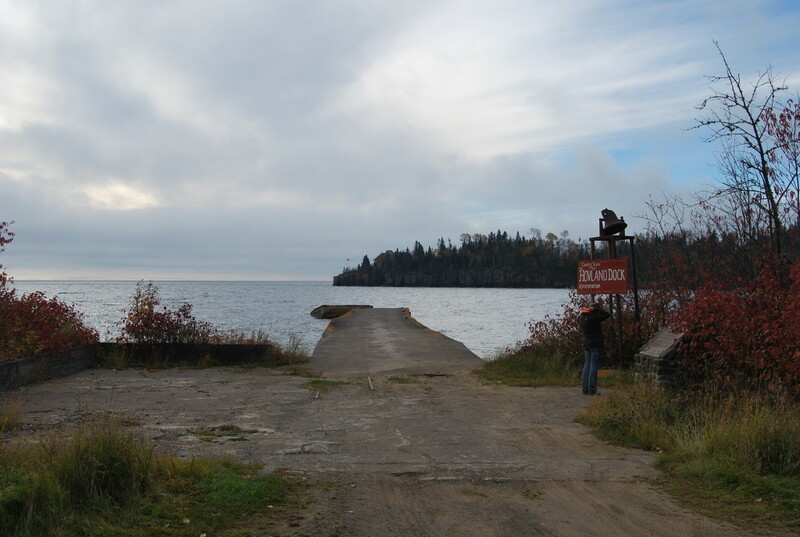 The Hovland Dock then fell into disrepair, like most things do, but has not been removed or restored. So there it sits. At the base of the dock, you can still find the old bell that was rung to signal an arriving ship. And not far down the shore are old cabins that housed the longshoremen who loaded and unloaded cargo (below). There are little signs left of the once-booming town, other than a few houses and abandoned buildings. 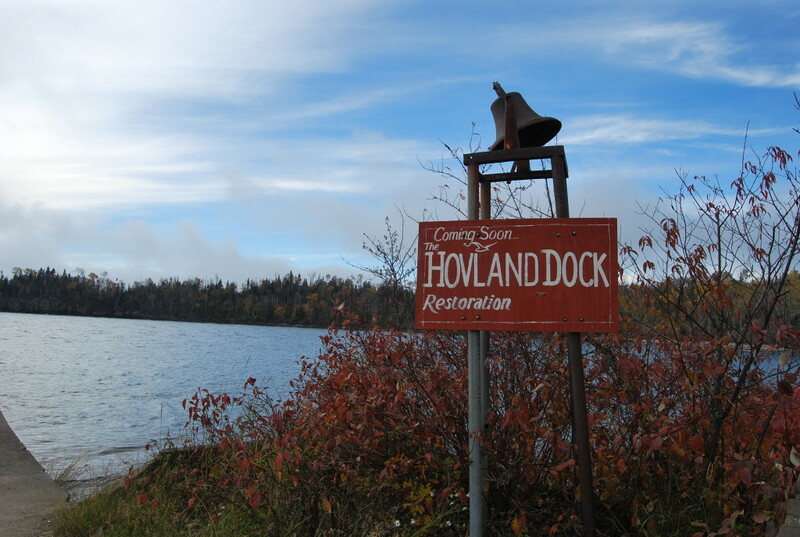 There have been efforts to restore the dock; A sign at the foot of the dock under the bell tells that the Hovland Dock Restoration is coming soon, although the efforts began around 1999 and clearly nothing has been done since. 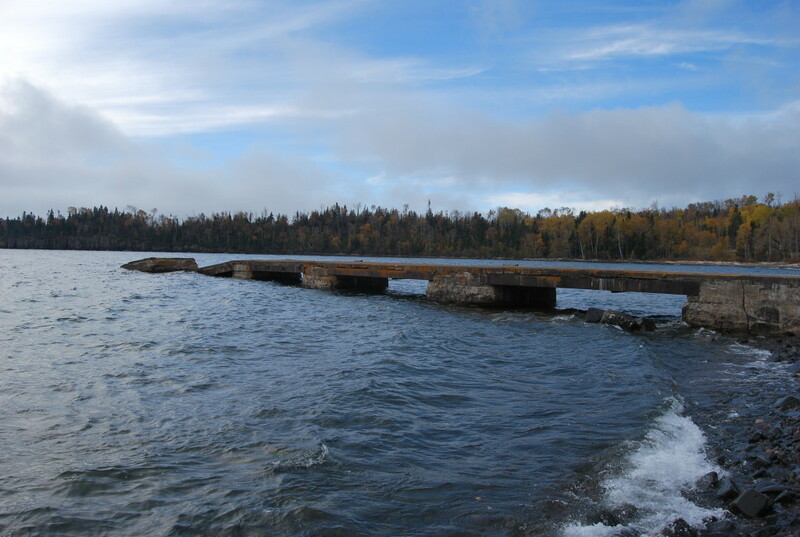 It’s not hard to imagine that given the current state of this hardscrabble, remote location, the dock will eventually meet its inevitable fate and completely disappear into the lake. While in the area: You could always check out the iconic “Witch Tree” at Grand Portage, or one of the dozens of beautiful beaches along the North Shore. They aren’t hard to find. In 1949 my family lived across the road from THE dock. It was the center of excitement in Hovland.